Here are my ten favorite trips, ordered by distance from my home. The theme in this list is diversity. I enjoy trips that offer day to day variety, and I also like trips that are novel in some way. #1 San Francisco Bay Area. 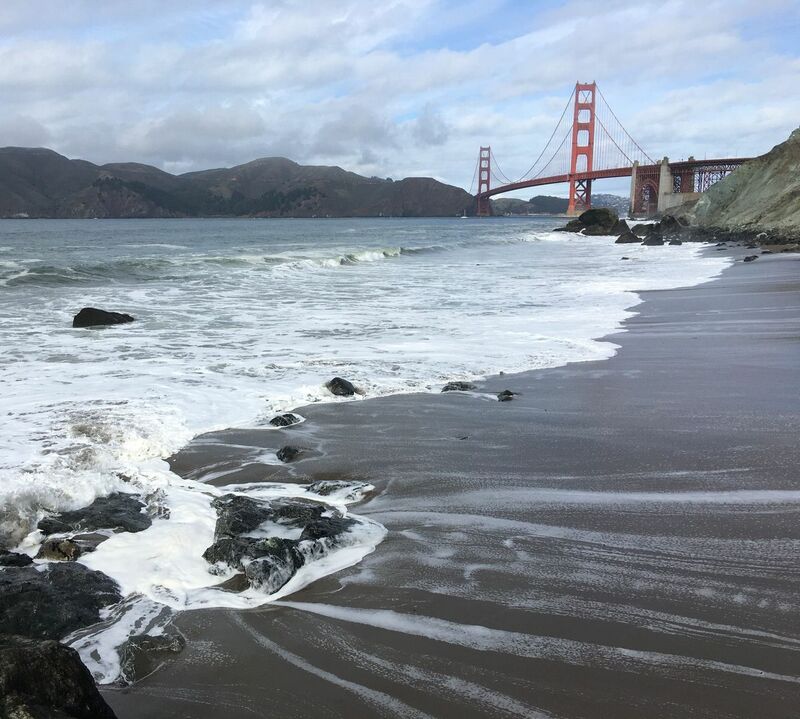 I am aggregating all trips in the Bay Area together and calling them one of my Top Ten. James says that is cheating, and I should pick exactly one trip; this is my list and I write the rules. Here are some trips that are representative of the region. Public transit hikes from San Francisco to Marin County. Big Sur: Boronda Loop. Not technically in the Bay Area, but close enough that I’m adding it here. Why? The weather is mild enough for year-round hiking. The biological diversity is exceptional and so is the variety of scenery. Many trips are possible using public transit. Again, I am aggregating dozens of trips. I especially enjoy the areas in the southern Sierra, between 10,500 and 12,000′ feet, where the high glacial lake basins and meadows with a few scattered trees knock my socks off. Any trip at that elevation between Mono Pass (just south of Mammoth) and Cottonwood Pass (just south of Whitney) is splendid. 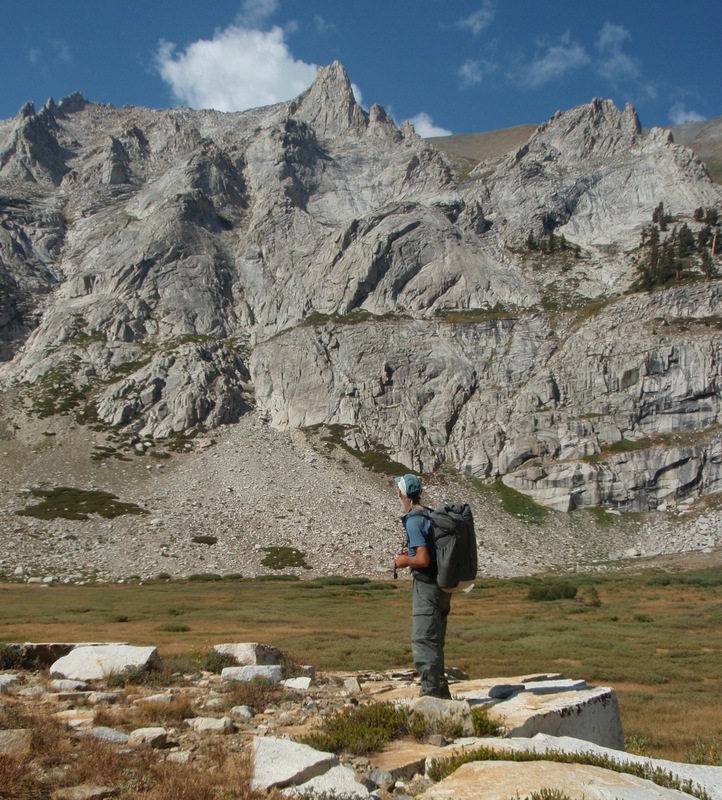 There are nice places north of Mono Pass, but I limit my Top Ten to the southern High Sierra. The Big SEKI Loop is a single trip that captures the essence of the region and provides a great framework for leaving the trail to explore rarely visited lakes and peaks. No single cross-country trip is better than the next. It’s all good. Why? The scenery is five-star, day after day with pristine high lakes, beautiful alpine meadows, and lovely glacially polished white granite. The range has grandeur, but at a human scale. 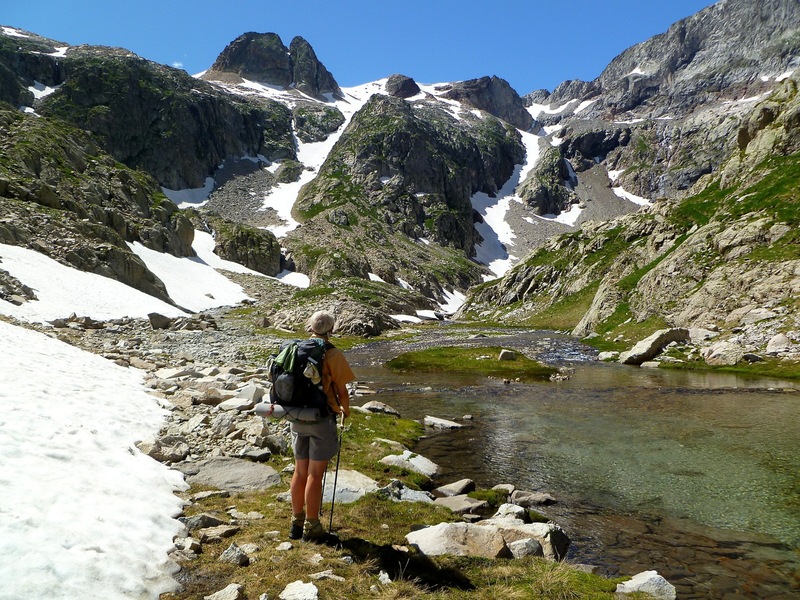 The terrain is accessible with numerous class 2 passes and peaks, making it possible to explore new areas for a week or two every year for a lifetime. For about six weeks each year the mosquitoes are gone and the weather is usually stable, dry and glorious. For the third and final time, I’m aggregating about 15 trips into a single category. 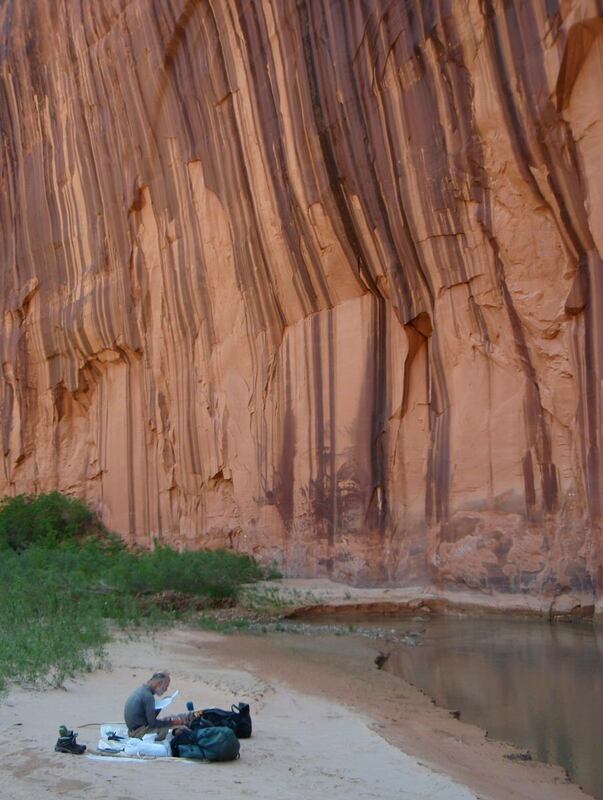 We have done most of our backpacking in the Escalante River drainages, but trips to the Paria River, Grand Gulch, Dirty Devil, and Dark Canyon have been equally satisfying. We have written trip reports for only two of our 15 backpacking trips in Southern Utah: Escalante River: Town to Powell and the Across Utah. Perhaps my favorite single trip in Southern Utah was a variation of Steve Allen’s The Escalante South. My all-time favorite campsite was on top of “The Block” on a variation of The Dirty Devil South. I will go out on a limb and assert that I could pick a day hike or backpacking trip at random from any of Allen’s books and I would be wowed. Why? The landscape is beautiful and intriguing at the micro level: blooming monkeyflowers around a spring; moki steps at an otherwise impassible pour-off; potsherds and flint chips; a brilliant green springtime cottonwood against a wall of deep red stone covered with violet desert varnish; a 200 square foot perfectly manicured micro-garden in a pothole, with one ancient juniper and a hundred blooming annuals, surrounded by acres of undulating slickrock. It is also beautiful at the macro level with vast expanses of strangely shaped rock formations and fabulous canyons. The opportunity for exploration is unparalleled; we have occasionally taken a day to travel just a mile or two between camps because we got distracted exploring possible routes to the rim or ascending every branch of a side canyon. There is no place we have ever been that is so unique. 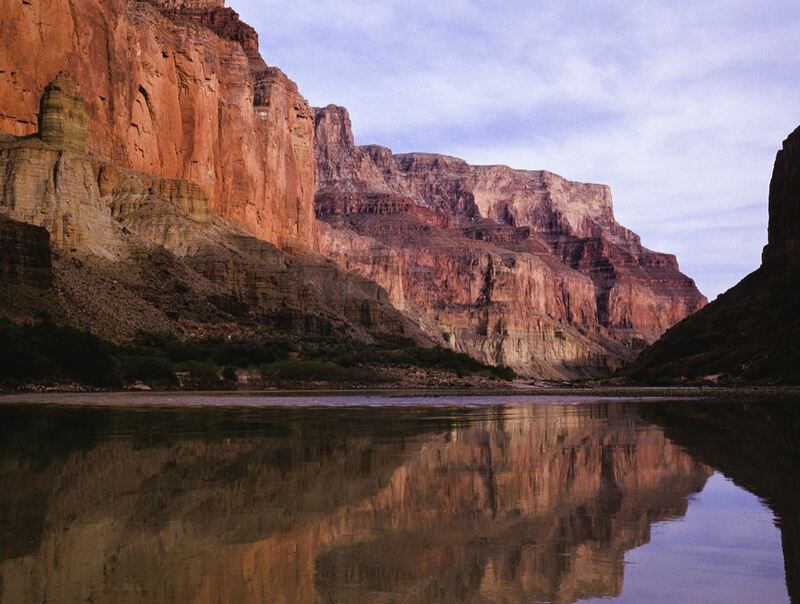 We have taken two extraordinary commercial 15 to 17 day oar-powered raft trips down the Grand Canyon. Here is a current list of providers. We traveled both times with Canyon Explorations / Canyon Expeditions and they were great. Take the longest available non-motorized oar or paddle trip in spring or fall when the air temperature is pleasant. Why? Somebody else does all the work to organize and execute the trip; we just showed up and enjoyed every moment. Each day we took a 2 to 9 hour hike in a different side canyon with it’s own geology; it’s like being on a new planet every day. The scenery and rafting guides and food were top-notch. There are big rapids, but most river time is spent placidly floating through the most splendid canyon on earth, soaking it all in. I think this might be the most beautiful North American wilderness trip accessible to non-backpackers. In 2007 we cycled the entire length of Adventure Cycling Association’s Great Divide Mountain Bike Route, 2768 miles through the Rocky Mountains from Banff, Canada to the US/Mexico border. It is primarily on quiet dirt roads and is a masterpiece of route planning. It was the world’s first well-documented long dirt-road cycling route, and is still the best regarded. It is not a technical route, and anybody who can camp and ride a bike can complete this ride. Why? Eat, sleep, ride the divide. Repeat for weeks. The trip is long enough to really get into the rhythm of the ride. No worries, great maps and no navigational issues, no resupply challenges, no stress. The landscape is better suited to a cycling pace than to a hiking pace. While visually not the best the west has to offer (Southern Utah or the Sierra Nevada is better), the route has fabulous diversity and is the best long distance off-pavement cycling in North America. Neither of us had canoed in decades, we had never canoed together, and James had never taken an overnight canoe trip. 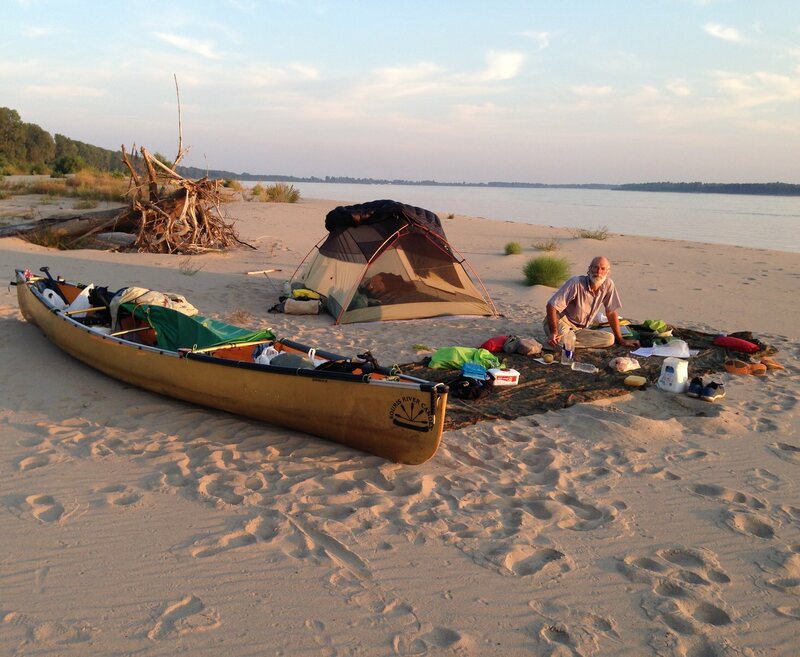 A week after he retired in 2014 we started our 8 week descent of the Mississippi River from its source at Lake Itasca to the Gulf of Mexico. Why? Since we had never done anything like this before, it was a novel and scary and thrilling trip. About 50 paddlers per year complete the journey, so it is still a grand adventure, far less traveled, for example, than climbing Everest. The river is America’s great river, superseding all others in commercial, literary, historical, and cultural importance. From a tiny trickle in Minnesota it grows to a flow of as much as a million cubic feet per second by the time it enters the Gulf. We were utterly surprised at how remote and scenic it was and we encountered the most generous and gracious local people we have met on any of our travels in the US. We have taken seven three to five week long hikes in the U.K. My favorite was England’s 630 mile South West Coast Path. In May and June the flowers are blooming and the kids are still in school so the coast is quiet. Trip report coming soon. Why? 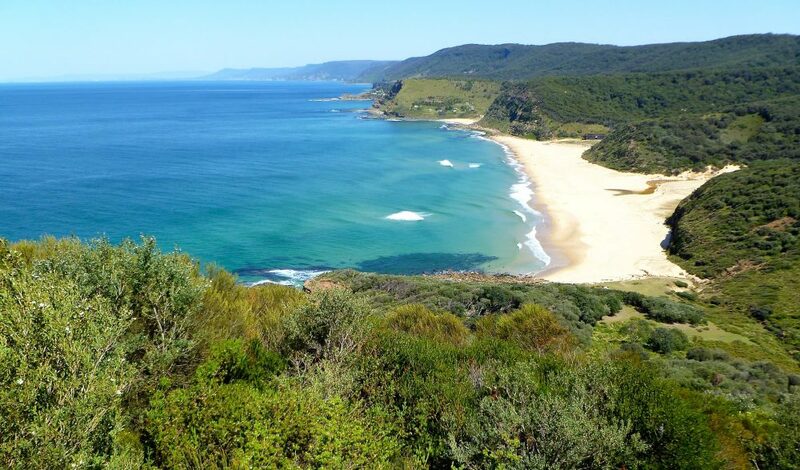 World class coastal scenery. Sheep pastures on one side of the trail; cliffs and crashing waves on the other side. Tiny old fishing villages with quaint B&B’s and old pubs serving great beer and adequate food. Many centuries of local history to explore in the churches and ancient castles. The path is maintained, well documented, and way-marked, with easy access to food and water, meaning that there is no mental stress or logistical challenges, just week after week of hiking on an outstanding coastal trail. In 2010 we thru-hiked the HRP. This high route traverses the Pyrenees from the Atlantic Ocean to the Mediterranean Sea, crossing back and forth between France and Spain. It is not a well-defined way-marked path and there are numerous described route variations. Why? Great scenic, habitat, and cultural diversity. Many five-star campsites. We did not sleep in the refuges, but we often enjoyed the delicious food they offered. It is emotionally gratifying to walk from coast to coast. No where near as crowded or commercially developed as many parts of the Alps. It is very different from wilderness backpacking in California’s Sierra Nevada and I like both types of hiking very much. This was a very memorable trip and I enjoyed every single day of our 35 day thru-hike. The people of the world are beautiful. American, German, French, British, Turkish are always nice people. But the politics of self-interested dictators is destroying the brotherhood of beautiful people. The current situation in Turkey is heartbreaking; it is tragic that the citizens of that great country are suffering under a rising dictator, and it is a shame that it may no longer be a viable hiking destination. Why? I loved everything about this trip including the stellar scenery, the abundance of high quality archaeological sites, and the ease of travel. 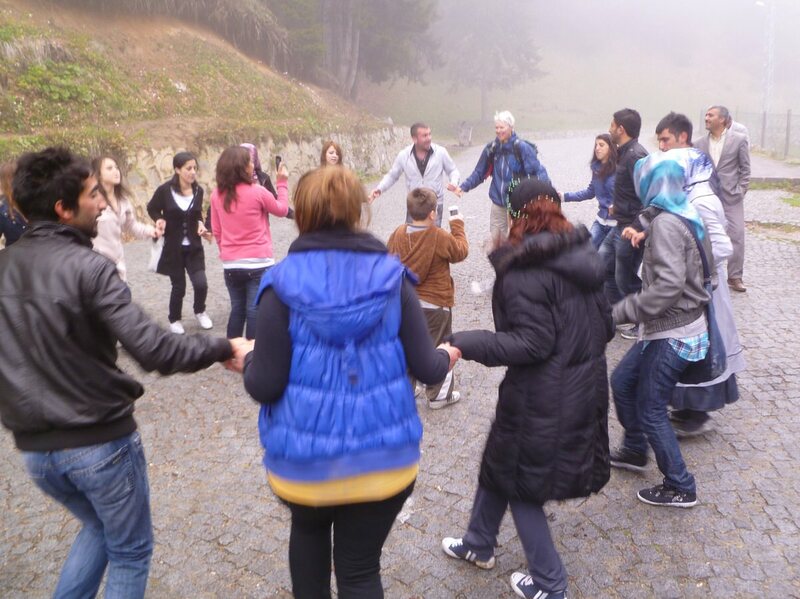 But by far the most satisfying aspect of the trip were the Turkish people, who were gracious and generous beyond description. They set a gold standard of what it means to be good hosts. See our trip report. I love coastal hiking and two of our overseas coastal hikes are on my top ten list as we don’t have any great long coastal hikes in the U.S. 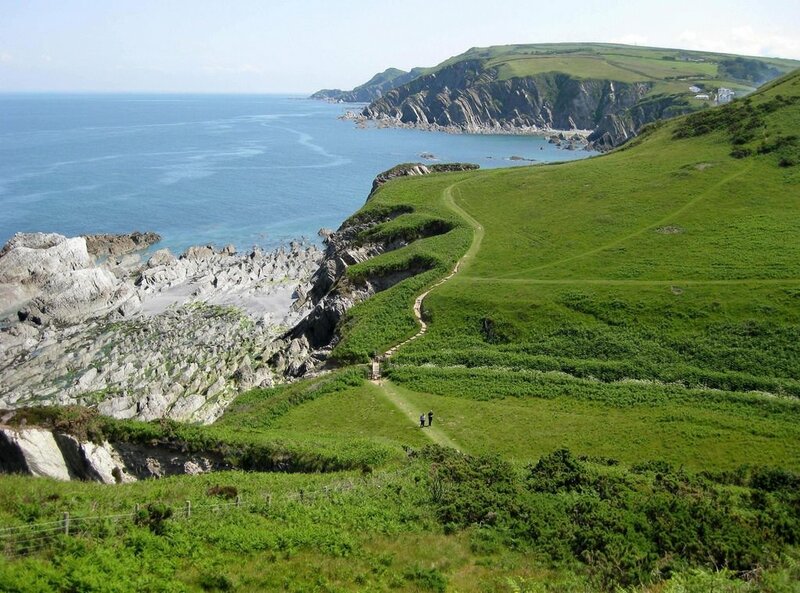 This hike was great for estuaries, wetlands, isolated beaches and wildlife; it is a perfect complement to the Southwest Coast Path’s coastal cliffs and old fishing villages. Why? The coastal scenery was beautiful. Birds and wildlife were diverse and abundant. The coastal walking was easy and carefree, punctuated by the challenge of crossing estuaries and tidal rivers which made the trip feel like an adventure. As we passed through a town nearly every day, logistics were simple, but the walking felt remote and mostly empty of other people.